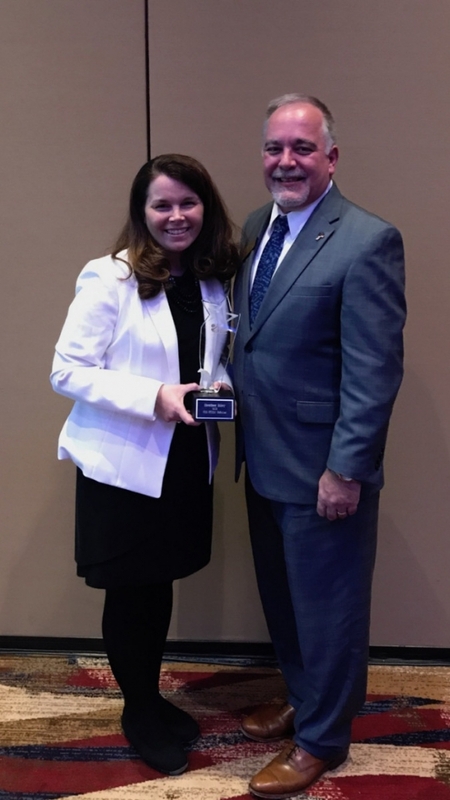 On the evening of March 23, 2019, Mount Vernon Elementary Teacher Heather Riley was recognized at the 30th Anniversary –Georgia STEM Scholar Award Celebration at the Cobb Energy Performing Arts Center in Atlanta. The award is given to teachers for their outstanding efforts to engage and improve student learning in STEM disciplines. At this year’s event, twenty-three (23) teachers from throughout the state earned the title of STEM Scholar. As part of the recognition, the Hall County School District will receive a $500 grant to purchase STEM education materials for Riley’s classroom. The annual celebratory event is sponsored by Georgia Youth Science and Technology Centers (GYSTC), which is a private, non-profit educational organization designed to increase interest in and enthusiasm for science, technology, engineering, and math (STEM) as subjects for serious study for K-8 grade levels teachers and students. For additional information about the organization, visit the official website: www.gystc.org. Heather Riley can be reached via email: Heather.Riley@hallco.org. Heather Riley and State School Superintendent Richard Woods, which was taken at the event.